After serving as a “soldier, sailor, spy and artist” for many years, Dr. Chip Beck retired from the CIA, U.S. Navy and U.S. State Department in 1993, 1996 and 2010, respectively. Today, he works as a writer, editor, freelance contractor and continues with his art. He has degrees in International Relations, Middle Eastern Studies, Organizational Leadership and Conflict Resolution. Carlos A. Puentes: Given the confluence of events such as U.S. policies on immigration and pressure to reform on Cuban trade, wouldn’t a first step to both be the liberalization of trade policies and update the Cuban immigration status as defined by the Cuban Adjustment Act of 1966? Reduction/normalization on barriers implies a change in relationship vis-à-vis nations and suggests fewer belligerences and as such implies a less hostile environment in Cuba toward its own citizens and a lack of need to open U.S. borders, thus a convergence with stricter immigration controls or entry opportunity in the US. Answer: If you always do what you’ve always done, you’ll always get what you already have — the status quo. In the case of U.S. relations with Cuba, the status quo is not working for either side; it is an unnecessary relic of the Cold War that should (in this writer’s opinion and direct experience with the island) be scrapped. Fifty-five years of a unilateral trade and travel embargo has kept U.S. influence off the island more than it has isolated Cuba. It should be clear to all but the most obstinate that America’s outdated means and methods did not and will not achieve America’s goals and objectives of a freer or more democratic Cuba. The U.S. does not need to change its goals and objectives, but the means and methods employed for five decades are counterproductive and need to be jettisoned for positive engagement that works. 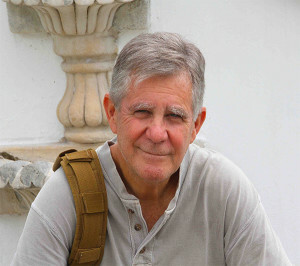 During the Cold War, this writer worked against or confronted Cuban Expeditionary Forces or operatives on three continents (Indochina, Africa, Central America). Some of those situations resulted in direct contact under less than diplomatic circumstances. Subsequently, between 1998-2001, I made five (legal) trips to Cuba to seek information on Americans missing in various geographic areas during the Cold War. Because I had once demonstrated my humanity to some beleaguered Cuban soldiers in a time of war, Havana was open to assisting me — and they did so by opening up old classified files, letting me read the original reports in Spanish, and giving me access to former covert operators for interviews that I was allowed to record on film. Although I was by then retired (prior to September 11, 2001, after which time I came back into government) and entered Cuba as a freelance journalist, the Cubans knew my background as a U.S. Navy Commander and former intelligence officer. Obviously Cuban intelligence (DGI) was curious as to why I was asking to enter their country. I told them up front that I was (a) not defecting, (b) not spying on them, but (c) I wanted access to classified information that I believed Havana could share without harming Cuba’s own national interests. Castro’s fears led to a revolutionary hero’s execution and drunken binges by his brother Raúl, according to a former security officer. Fidel Castro was so afraid of a revolt in Cuba’s most elite paramilitary unit that he ordered his motorcade to avoid driving past its base, his top bodyguard at the time says. Raúl Castro was so depressed that he was going on drunken benders and soiling his pants. 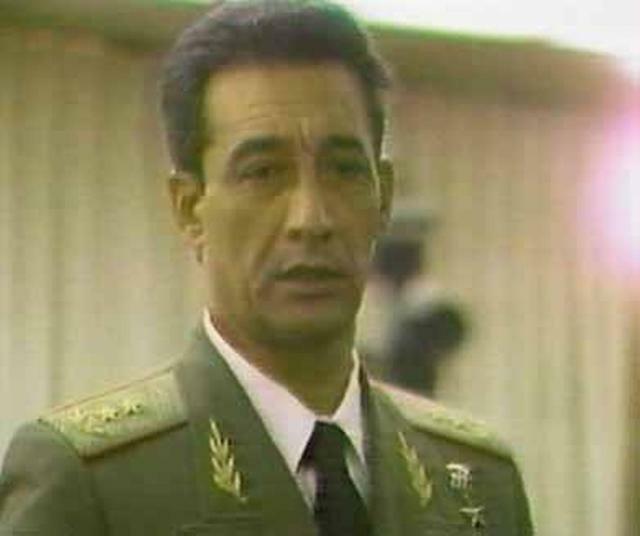 Cuba’s top military hero, Gen. Arnaldo Ochoa, had been executed by firing squad for drug smuggling. And a longtime member of Fidel’s innermost circle, Interior Minister José Abrantes, was in jail awaiting trial for failing to stop the trafficking. That summer 25 years ago posed one of the toughest challenges ever for the Castro brothers — to show that their top deputies had trafficked drugs without their consent, and to avert a backlash from other soldiers who believed the Castros were lying. Ochoa, 59, was Cuba’s top military icon. He was a veteran of campaigns in Angola, Venezuela, Ethiopia and Nicaragua, had won the country’s highest honor, Hero of the Revolution, and sat on the Central Committee of the Communist Party. 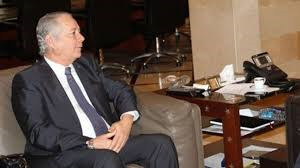 Nevertheless, he was executed on July 13, 1989, along with three senior officers of the Ministry of the Armed Forces and Ministry of the Interior (MININT), after a military court convicted them of drug smuggling and treason. Ochoa was not plotting to overthrow Fidel, as was rumored at the time, said Sánchez, who in 1989 stood at Fidel’s elbow as keeper of the diary of the Cuban leader’s daily activities. Ochoa did not have the troops or the means to carry out a coup, he added. But evidence presented at their trial showed that Ochoa and the three others who were executed — Antonio de la Guardia, Jorge Martinez and Amado Bruno Padron — had arranged cocaine shipments through Cuba and to the United States for Colombia’s Medellin cartel. Abrantes, one of Fidel’s oldest and closest aides, a former head of his security detail and a general, was arrested later with six other MININT officers for failing to stop the drug traffic and corruption. He died of a heart attack in 1991 while serving a 20-year prison sentence. Fidel had approved Abrantes’ involvement in drug trafficking, Sánchez alleged. 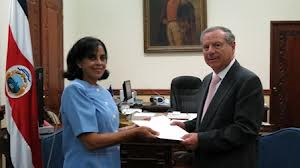 And Raúl, then minister of defense, had approved Ochoa’s involvement. 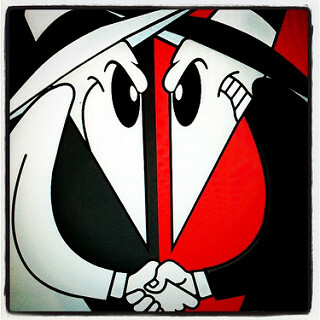 Military Counter-Intelligence (CIM), which reported directly to Raúl, had to have known of Ochoa’s activities, yet no CIM agent turned up at either trial as defendant or witness. The conference dramatized how the far-left “progressives,” operating under the direction of Cuba, have calculated that Obama’s last two or so years in office represent the perfect opportunity for their comrades to leave prison with presidential pardons, clemencies, or commutations, and then return to the “struggle,” or “resistance,” in the streets. The two-day event, the main focus of the “Five Days for the Cuban Five” campaign, was open to the press, enabling this columnist to attend and film the activities of the hard left as they operated under the watchful eyes of José Ramón Cabañas, Chief of the Cuban Interests Section in Washington, D.C., and his agents. About 150 people attended the event. 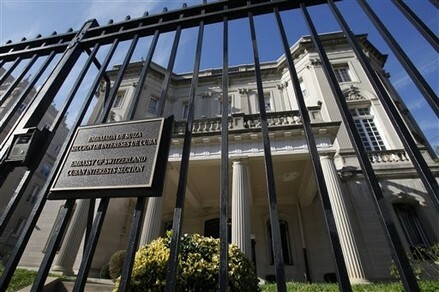 The Cuban Interests Section functions as Castro’s embassy, in the absence of formal diplomatic relations, and operates as a front for the Cuban intelligence service, the DGI. Even the Obama administration has conceded that the “Cuban Five” were members of a Castro spy network. Before being appointed to the Supreme Court, Elena Kagan was Obama’s solicitor general and submitted a legal brief in the case. She noted in the brief that members of the “Cuban five” were affiliated with the Cuban intelligence service and the “Wasp Network,” whose purpose included penetrating U.S. military facilities and transmitting information about the facilities’ operations and layout to Cuba, and infiltrating Cuban-American groups. Linda Evans, a Weather Underground terrorist pardoned by President Clinton. • Rafael Cancel Miranda, a Puerto Rican terrorist who opened fire on the House of Representatives in 1954, and was pardoned by President Jimmy Carter in 1979. • Cindy Sheehan, the former anti-Iraq War activist who just ran unsuccessfully for California governor on the “Peace and Freedom” party ticket. Feature continues here: Obana to Free Spies?